Italian comedy has the great advantage of being greatly diversified and full of different types of comedy. The Commedia All’italiana is the most famous one but there are other types of comedies that made Italian comedy one of the most renowned. 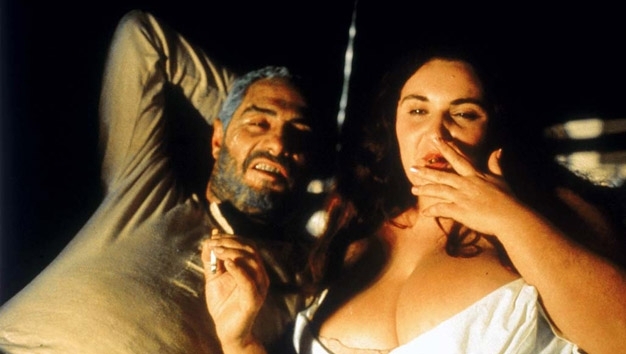 The Commedia All’italiana genre was made famous by Mario Monicelli in 1958, and made a mark as one of the greatest “inventions” in cinema history. The genre was mainly characterized by its comedies while maintaining a highly descriptive and dramatic plot with very well designed characters and storylines that described Italy after the war. Also, it contains a very satirical side and highly “explicit” sexual content, becoming a pioneer of the genre and an example for most day-to-day comedies. It was one of the first movie industries to battle the war “tabu” with polemic and controversial sexual innuendo, satirical in-views, highly political characters and descriptions of the contemporary lives of those involved and affected by the World War II. Although Italian comedy isn’t a “laugh-out-loud” type of comedy, it is certainly a daring and intelligent one. Characterized by several roughly polished characters, movie scenes and movies that would make even today’s most controversial comedian blush. It has a magical way to impress and stays in anyone’s memory as one of the most heartfelt and emotional movies ever made. To say that it is the last perfect movie released may seem for many people as an overstatement, and perhaps nonsense, but when you capture its essence, storyline and true intent, that statement is only more than fair. 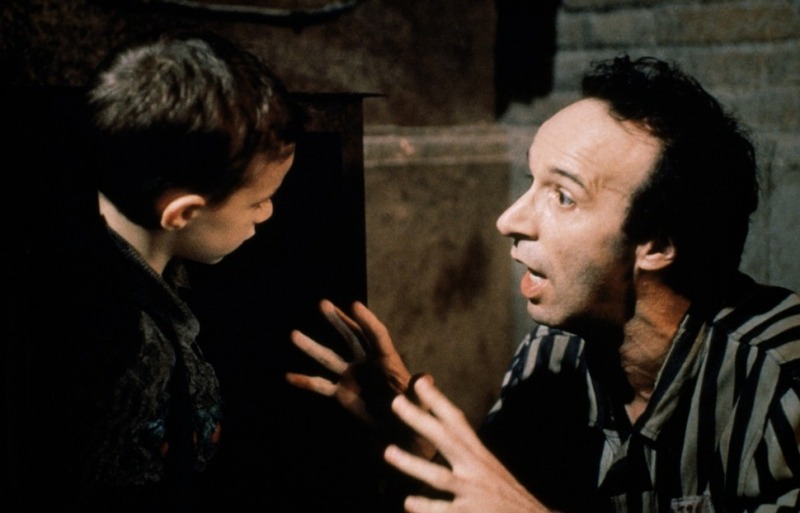 Beautifully directed, written and performed by the surprising Roberto Benigni and released in 1997, “La Vita è Bella” is picture perfect in every sense and aspect: casting, storyline, performance, production, plot, writing, costume design, filming, soundtrack and everything else you might remember. It’s perhaps the only movie that can make you cry and laugh intensively, and even in the saddest moments it can have its funniest moments. 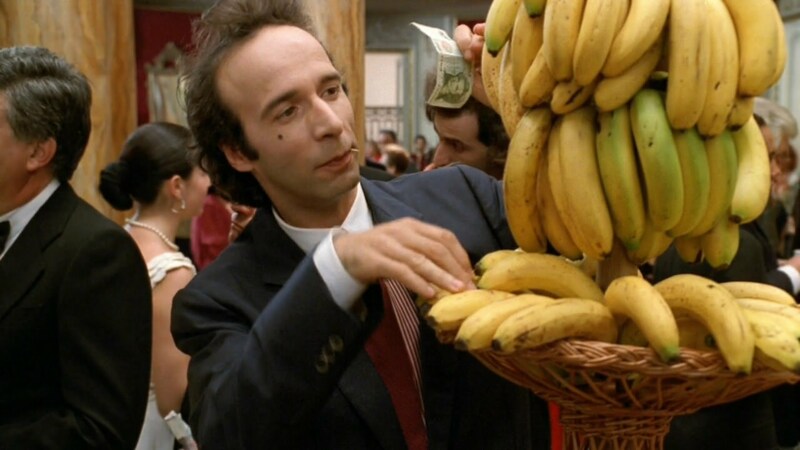 Although Roberto Benigni isn’t the most amazing performer or director you’ll ever see, this movie contains the right elements to make his work, in this movie, one of the best of the last 40 years. It made his career, which at the time was filled by good comedies by Johnny Stecchino or Il Mostro, but nothing he had done or participated in had such a high impact from the get-go as this legendary movie. It is co-starred by Nicoletta Braschi, a more technically accomplished actress when compared to Roberto Benigni, her husband in real life, and Giorgio Cantarini, who at the time was only five years old and gave one of the most magical performances ever shown by such a young actor. There is no doubt that this movie is still, and will always be, one of the most heartfelt tributes to the suffering and pain of those who lived through World War II. It tells the story of Guido Orefice, a simple Jewish man who falls in love with his “principessa”, Dora. They marry, have a child named Goisuè, and are happy, but are separated and taken to a concentration camp. Although a dramatic and tragic moment, the movie doesn’t leave the humoristic approach behind and has its funniest moments. One of the movie’s greatest advantages is that it may be considered as a perfect comedy or drama, it’s the most complete output seen in years and an example of how cinema should be made. It’s, by far, one of the top comedy-dramas of all time and one of the most influential. It is Fellini’s best comedy and clearly one of most eccentric movies filled with a bunch of eccentric characters that may serve as symbolic for most of Fellini’s interpretations. It’s a highly satirical and intelligent account of fascist Italy and contains a high degree of sexual content and innuendo that is symbolic through Fellini’s eyes. Although classified as a comedy-drama, personally I find it as a comedy with dramatic bits here and there, and even those comedic moments have a sort of magical humoristic flair that beautifies and aggrandizes this masterpiece. 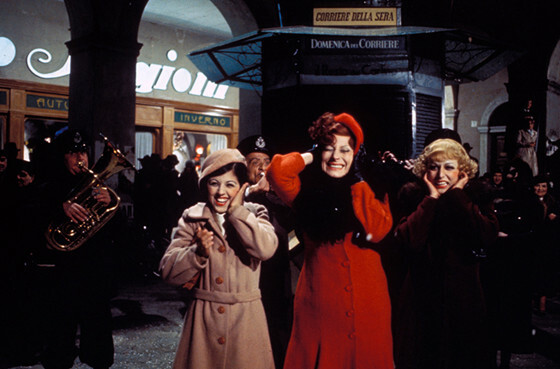 “Amarcord” also contains some autobiographical and somewhat surreal elements. Titta is a young man who lives in the small town of Borgo San Giuliano, Italy. It is set in the 1930s with the rise of the fascist regime and autocratic powers. Mussolini is very often mentioned, satirically, as a savior and beloved by most of the town. It’s the story of Titta as seen by him and his view toward his family, and the set of strange and eccentric characters living in the town. It’s an unforgettable movie, not only with its humoristic moments but also by its grotesque style with powerful sexual content and strong language. It may be unfair to rate it in the 3rd place, but considering the 2nd place, this is the only place it could be put in. It’s very often called a grotesque-comedy as it deviates from the comedy-dramas that were still being released. Like Fantozzi, this was released in the second half of the 1970s, creating a new breed of Italian comedies, until then very much “obsessed” with the ideal of the war and contemporary description of Italy, building a plot with comedic and dramatic characteristics. It’s, by far, Nino Manfredi’s most difficult role, where he plays a grotesque and badly-mannered man with only one eye. Giacinto lives with all his children, his children’s children, their spouses, husbands and every sort of “family” you might remember. He lives in a small hut with more than 10 people crowded inside. After losing his eye, his insurance gave him a large sum, which he refuses to share with the rest of the “family”. Fearing for his life, he starts getting obsessed and even creepier. But with a family like that, who wouldn’t? The grotesque classification is, actually, quite fair. Although it contains its sordid but also dramatic moments, “Brutti, sporchi e cattivi” does contain a lot of swearing and sexual content that even by today’s standards would be controversial and rated “mature”. Most of his daughters are portrayed by himself as prostitutes and his sons as thieves, killers and pigs who only want to steal his money. Despite being true, it is still a fantastical way to describe a comedy. 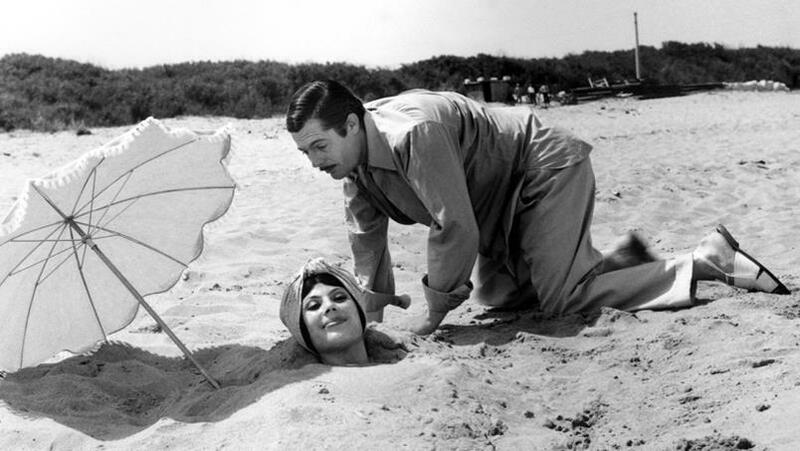 Although controversial, the movie is a masterpiece, and it changed the landscape of Italian comedies while maintaining a certain small degree of tradition with the inclusion of negative emotions. It’s a must-watch movie! This comedy masterpiece directed by Mario Monicelli is usually referred as the starting point to the Commedia All’italiana genre, which was normally characterized by comedy-dramas with realistic perspectives on people’s lives. Although this comedy doesn’t have a very strong dramatic insight, it still has very strong character descriptions, portraying them with great care and making them the main spotlight for the humoristic moments in the movie. “I Soliti Ignoti” is a “spoof” of French masterpiece “Rififi”, released years earlier. “Rififi” contains the historic and legendary 30-minute heist scene, and “I Soliti Ignoti” contains a not-so-legendary heist scene. Albeit a star-studded movie, most of the actors were still unknown to the big screen; such are the cases of Claudia Cardinale, Marcelo Mastroianni and Vittorio Gassman, who later became legendary and iconic actors of Italian cinema. Cosimo (Memmo Carotenuto) is a gangster who was arrested after trying to steal a car. While in prison, he elaborates a huge plan that would make him rich for the rest of his life, so he calls his lawyer and wife to ask them to call the gang and arrange someone who would confess the theft of the car. That person is Peppe (Vittorio Gassman), who after some convincing accepts to take the blame for the crime he didn’t commit. Instead of being released, both of them stay in prison. Knowing of the plan, Peppe fools Cosimo into telling him his plan. After Peppe’s release, he reunites Cosimo’s gang, in order to execute the so-called master plan. It’s a comedy from beginning to end with only the last 10 minutes reserved for drama, but still has very strong comedic intent. Again, the movie exploits the realism of contemporary Italy with a strong and descriptive characterization of its characters. It’s directed by the duo Monicelli and Steno, and it’s considered one of Totò’s greatest performances. It’s a much more all-around comedy than most of the movies on this list, not only with a great plot and humoristic moments but also with a great representation of Italy and its people. Although not a comedy-drama and a Commedia All’italiana per se, it does have the right elements to be one, adding a funnier side to a golden genre. 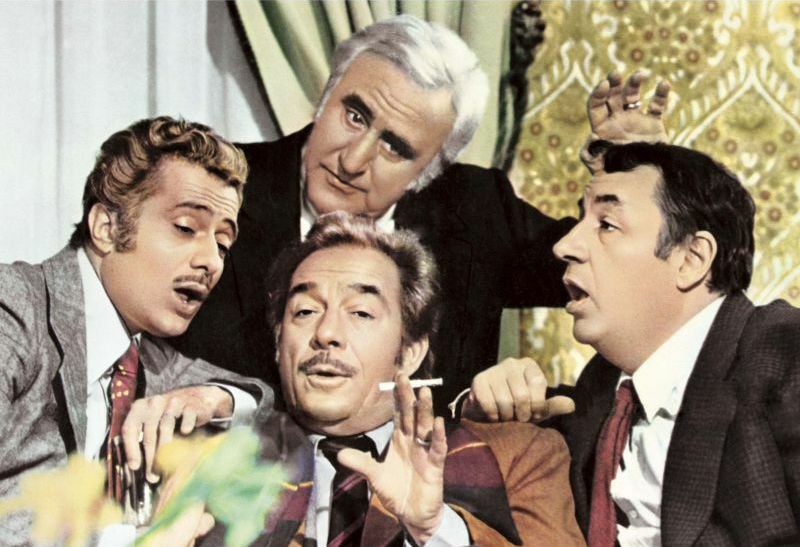 Totò clearly shows why he is the legend of legends of Italian comedy. Ferdinando Esposito, played by Totò, is a swindler who, with his partner Amilcare, likes to execute his tricks on foreigners who visit the Roman Forum. 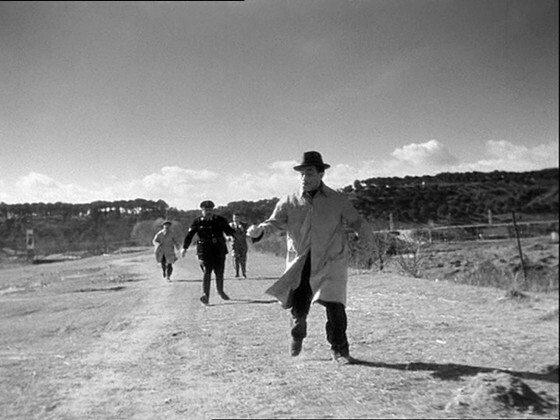 After cheating an American out of 50 dollars, he is chased by a policeman, Lorenzo, who lets him escape. In order not to lose his job, Lorenzo has to catch him again. If you want a Commedia All’italiana with all the right elements of Italian satire, “Sedotta e Abbandonata” is the right movie to watch. As mentioned earlier, Commedia All’italiana is a very diverse genre with lots of styles of comedy. Satire, strong language and sexual innuendo are definitely elements of the gem that is Commedia All’Italiana. Perhaps, “Sedotta e Abbandonata” is unfairly positioned in this list, maybe a 4th or 5th place spot could fit best such an iconic and influential release directed by one of the top men in the industry. Contrary to some of the movies listed here, this movie contains a very dense story, which thickens with the advance of the story. Also, the characters change a lot from the get go, particularly one of the characters, Agnese. She is the sister of Matilde, who is engaged to to Peppino, viewed by women as a beautiful man, and also the daughter of Don Vincenzo. One day, when everyone is sleeping in the house of his fiancée, Peppino seduces the innocent Agnese, who can’t resist his charms and has always had a crush on him. They sleep together and the classic and typical Italian style of comedy enters the scene, beginning a hilarious storyline with lots of twists and turns with particularly great performances from Stefania Sandrelli (Agnese) and Saro Urzi (Don Vincenzo). Also, contrary to some of the movies listed here, “Sedotta e Abbandonata” has the advantage, as a comedy movie, to be entirely comedic, of course with the necessary dramatic moments like any Italian comedy should have, but even those moments might be construed as funny. It’s definitely a must-watch masterpiece, mainly if you enjoy the subtlety and intelligence of Germi’s plots and movies. It’s one of the best examples of Commedia All’italiana as it shows contemporary Italy of the 1960s with economic growth and the rise of the “nouveau-riche” society, mainly thanks to a fast-growing industry. The duo of performances, Gassman and Jean-Louis Trintignant, make this one of the most magical ones. 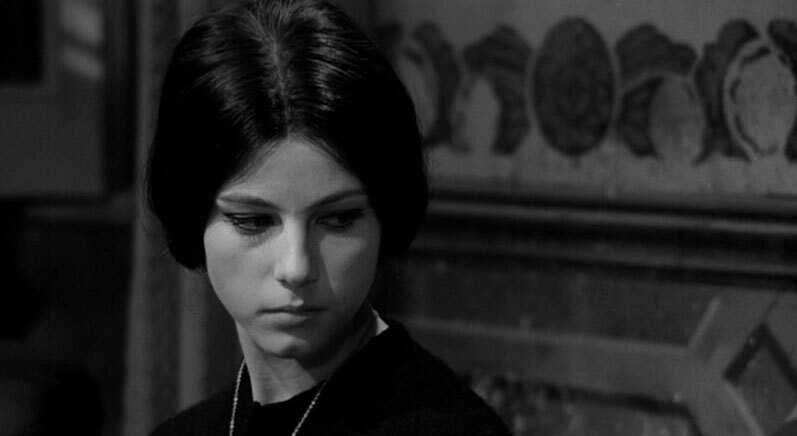 The personality differences of both characters, ending in a tragic and somewhat undesired death by the audience, makes “Il Sorpasso” one of the most enchanting, surprising and also emotional movies in this list. Bruno Cortona is a Don Juan, an easy-life lover and a lover of the Italian Dolce Vita, who after receiving a favor from Roberto Mariani, a shy and timid law student who has to pass the day studying, invites him to spend the day with him going for a ride. Although a bit skeptical, Roberto accepts this unusual request starting the unexpected but curious and rich voyage through the country. What makes this movie worthwhile is mainly its performances. 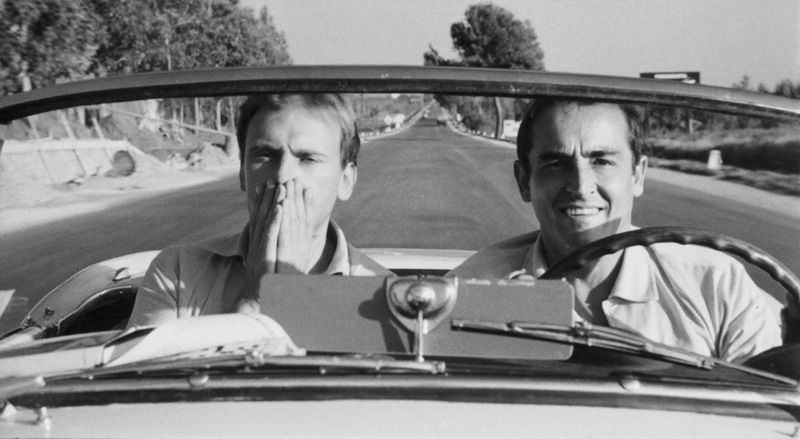 The duo works perfectly and the difference of personalities really shines in a movie that takes us to know Italy in the 60s. Albeit their differences and seemingly unavoidable conflicts, they wound up liking each other. It seems that Roberto likes Bruno more than Bruno likes him, despite the favors Bruno asks Roberto. The difference of personalities may also be an unavoidable metaphor and description of the “new life” arising in Italy at the time. 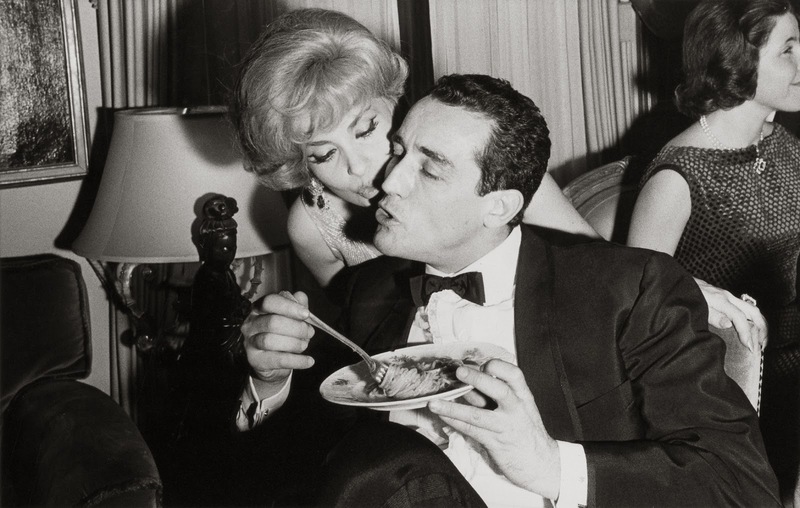 You either could be “eaten”, like Roberto was, or you could be a “go-getter” enjoying life and its pleasures. It’s an Academy Award winner and Pietro Germi’s finest release, combining a great storyline with very intelligent comedic moments. The movie itself isn’t filled with physical comedy, sexual innuendo or moments a là Totò, who by himself created humoristic situations, but is more filled with very clever and artistically made camera cuts and an excellent performance by Marcello Mastroianni. Mastroianni plays Ferdinando Cefalù, a man who is sick of his wife’s love, reaching the point of wanting her to die. He wants to marry Angela, a young woman who is innocent and loves him back. Despite being an aristocrat, Ferdinando only wants Angela and her youth and creates a plan to kill his wife. Convinced that his plan will work, he starts imagining the trial and how it will work for him; everything is quite optimistic for him and that by itself creates an excellent humoristic moment. Actually Ferdinando’s lunacy and eccentricity is sometimes symbolized by body twitches that Mastroianni brilliantly executes along the movie. In spite of having been released in 1961, the movie is quite different from the comedies usually made at the time. It strongly supports its moments in Mastroianni’s performance and his character’s embarrassing execution plan. It’s another of Monicelli’s gems and masterpieces that couldn’t be left out of this list. “Amici Miei” is a story of four friends, later in the movie becoming five friends, who are a mixture of crazy teenagers and old men bored out of their minds just trying to pass time. Although all of them, or almost all of them, are well positioned in life, they love to play pranks on other people and the greater the pranks are the better. They call themselves the gypsies, and when together they are unpredictable and careless, leaving their personal problems behind. It digresses from the movies mainly being done until that time. All the emotional or dramatic moments shown are very quickly turned into humoristic and comedic scenes, a great example of that being Count Mascetti’s story. Also, the reunion of such iconic actors puts the movie in an immediate classic status, and the fact that they are let loose in this kind of release, directed by the masterful hands of Monicelli and his fantastic vision, makes this movie one of the most influential comedies since 1970. Also from Mario Monicelli, another masterpiece of Italian comedy is “Armata Brancaleone” (1966). Both movies could be positioned in this place, but there had to be a choice. Check “Armata Brancaleone” for a richer collection of Italian comedies. It’s Vittorio Gassman’s greatest role, or at least his most-renowned performance, where he plays Gerardo, a man who claims to be a versatile actor when in reality he is a thief and a con-man who earns his living by stealing and cheating others with his acts. It’s another Dino Risi output, released in 1960, and the movie became a reference and a benchmark for Italian comedies of the 60s, and it’s still one of Risi’s and Gassman’s greatest collaborations. Albeit by comparison, “Il Sorpasso” for example, is a much richer and complex output, mainly because of its excellent duo of performances, Gassman included. “Il Mattatore” does contain a much richer humoristic component making it a must-see movie on this list. Hugely supported by the outstanding performance by its main actor, Vittorio Gassman, this movie was a huge influence on Italian comedies. 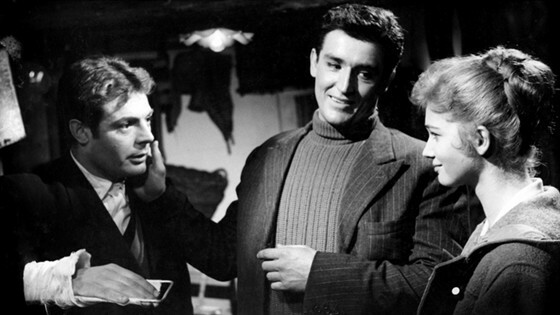 “Il Sorpasso” was also another influence, but considering that it was more a comedy-drama, “Il Mattatore” surprises in a more comedic sense. The comparison with “Il Sorpasso” is inevitable due to the fact it’s another Dino Risi movie, who was one of the main directors of this era. “Il Mattatore” is a much more suitable comedy for those who wish to laugh with the con-acts of Gerardo, rather than witnessing a tragic end with two characters that are very different from each other.